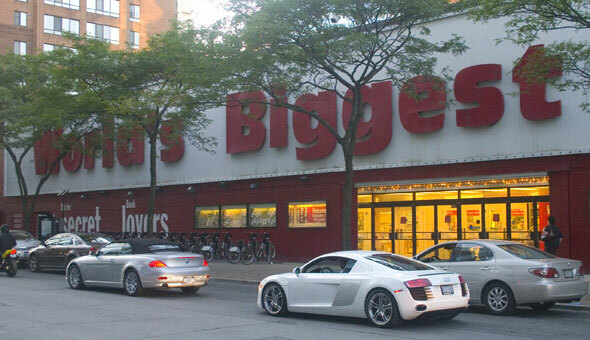 The World's Biggest Book Store is at 20 Edward St just north of Dundas St. and off Young St. in downtown Toronto. Orginally opened in 1980 as part of the Coles book chain, World's Biggest Book Store is now part of the Chapters/Indigo chain. It features a large magaizne area and computer books section. The ground floor is wheelchair accessible. Kelvin Lau said, "Add a comment..." about World's Biggest Book Store .